In motor vehicles especially car, lorry, bus etc, a mirror is attached to the right side of the driver. 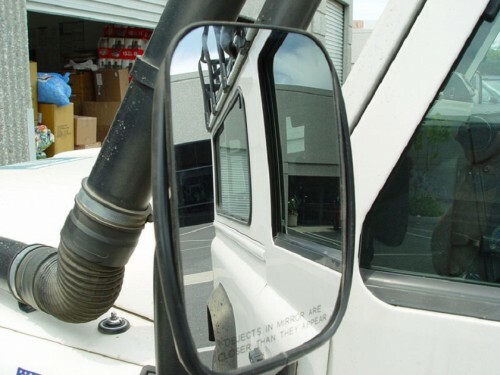 Driver can view the vehicles coming behind his vehicle using that mirror without turning back every time. It is not an ordinary mirror. It has some special characteristics. Mirrors are of three types. First, plain mirrors which are used in houses. Second, Concave mirrors which are used by Ear, Nose and Throat doctors to test the patient. And also used as shaving, makeup mirrors. Third, Convex mirrors which are bulged on the surface. Therefore, many light rays from different directions fall on the mirror. So even if the mirror is small, it can absorb light rays from various regions. Therefore view can be clear for a long distance. Hence convex mirrors are also called as Magnifying mirrors as they give the clear view. By attaching these mirrors to vehicles, driver can view the vehicles coming behind even though those vehicles are far behind. Moreover, convex mirrors have the characteristic of scattering light. Hence they are also used in street lights.